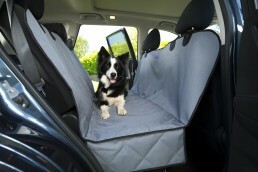 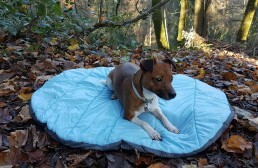 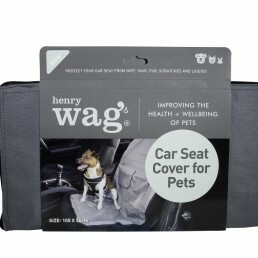 The Henry Wag Car Seat Cover protects against muddy paws and wet coats. 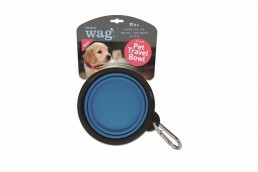 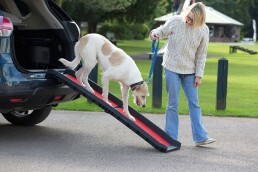 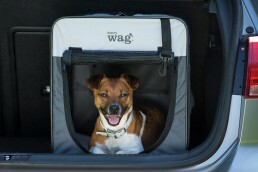 The perfect accessory for dog and pet lovers who like to be out and about with their pet. 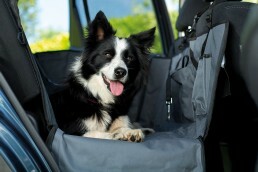 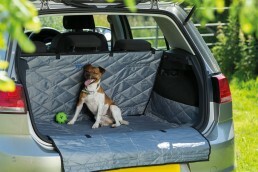 This single car seat cover will help to keep your car clean and tidy and protected from muddy paws and wet coats. 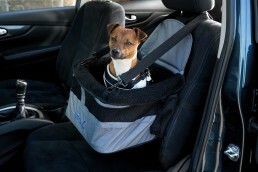 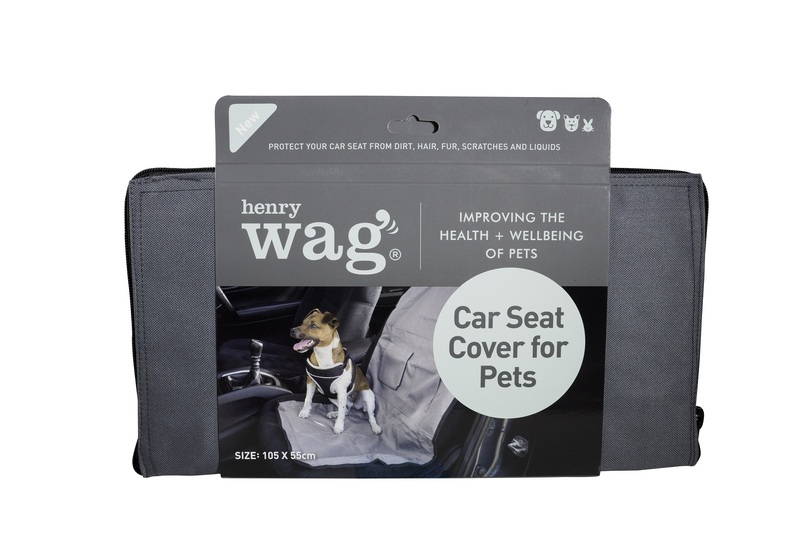 The Henry Wag Single Car Seat Protector is easy to fit and remove from your vehicle and the straps can be adjusted to fit securely into most cars. 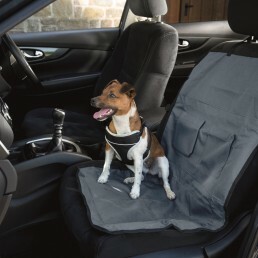 The straps secure the seat protector over the head rest and around the seat for a comfortable fit and it measures 105 x 55cm. 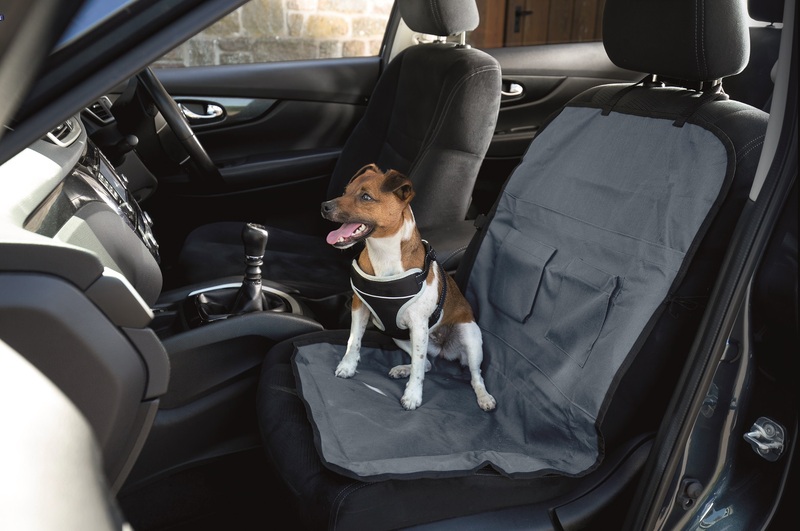 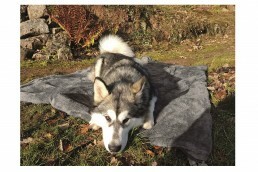 This cover is made from hardwearing yet comfortable fabric in a practical and contemporary grey colour that can be brushed or wiped down and also washed in the machine at 30 degrees. 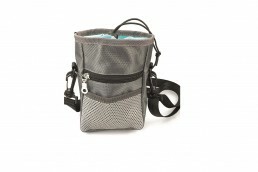 It also has a waterproof backing for added protection.